June 14, 2017 — Loving Pets of Cranbury, NJ is voluntarily recalling a limited number of dog treats because of the potential to be contaminated with Salmonella bacteria. The possible Salmonella contamination was due to a single finished ingredient that was supplied to Loving Pets from a USA based supplier. 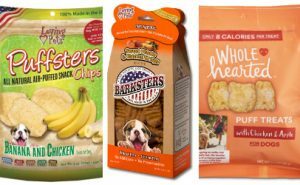 This possible contamination was discovered by Loving Pets’ internal quality assurance team and was identified through the company’s standard quality control testing procedures and internal food safety program. Loving Pets produces its treats in small batches, in order to offer the highest quality and control in safety. Consumers may return any bag of treats with any of the relevant lot numbers to the retailer where the product was originally purchased. For additional information, please visit www.LovingPetsProducts.com or call 866-599-PETS (7387).